Welcome to the marvellous world of Thomas Flintham, where mazes and puzzles become exquisitely illustrated journeys. 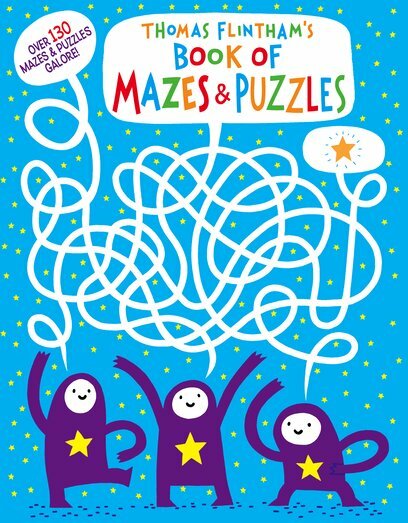 Thomas Flintham’s Book of Mazes and Puzzles is an a-MAZE-ing book of puzzles, dot-to-dots, spot-the-difference and mazes like you’ve never seen before! Printed with a striking yellow colour ink throughout, this bind-up of Thomas Flintham’s Marvellous Mazes and Thomas Flintham’s Super-Fantastic Puzzles is sure to delight fans of Thomas’s work both old and new.